Tourism today is very different than the days of our parents. We now find that the millennial’s are officially the largest generation in history, beating out the baby boomers. Therefore it stands to reason we are seeing a shift in our travel trends. 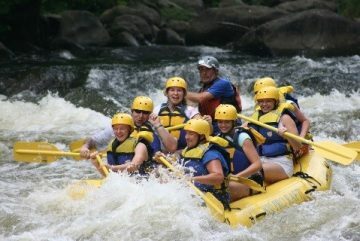 Travelers are reallocating their priorities and moving towards wanting that ‘authentic’ experience. We have an emerging trend in food tourism and there is something called ‘bleisure’ where business and leisure trips are being combined. The authentic expe rience; not always easy to clearly define or tangibly assess but travelers are navigating towards real experiences that highlight the natural environment, culture and customs of places they visit. Living in the Okanagan, I can think of so many outdoor adventures that really embrace this philosophy. Responsible tourism also plays a factor as travelers are paying attention to the environmental, economic and social impact they make on the places they visit. We all love food and food tourism is an evolving industry around the world. Travelers want to see, smell and taste the indigenous food and cuisine they have read about. 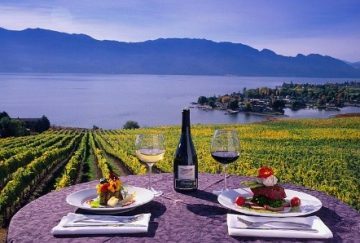 Many are even planning their trips around specific festivals and events…I know I love the Spring Okanagan Wine Festival! Visiting classic food markets or partaking in a farm to table meal will give foreign and local travelers alike that genuine experience. Another increasingly popular trend is participating in a cooking class; the emphasis on cuisine local to the area they are visiting. ‘Bleisure’, the term penned for people who mix their business and leisure travel. Finding balance between work and personal life is important and it’s a great way to optimize holiday time and it makes financial sense. This has become an in demand job perk and many companies are developing travel policies that encourage personal and professional growth during travel trips. I think of all the business travel we have pass through during our accommodation season; having those few extra days to explore the Okanagan would definitely be a great way to unwind after a business trip.